Create a statement! 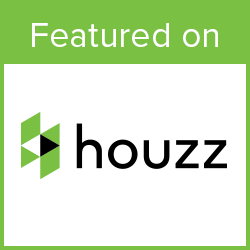 Showcase your home, business, or property with professionally installed low-voltage LED architectural lighting from Dusk to Dawn Outdoor Lighting, St. Louis. 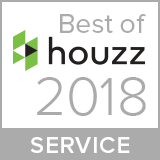 Our expert outdoor lighting designers and installers not only highlight the artistic beauty of your landscaping and gardens, we emphasize the striking features and lines of the home or business you love. There is talent in the technique of lighting architecture, including crafting shadows and silhouettes in some places and eliminating them in others. The right kind of lighting can change the look and feel of your home, business, or property completely, adding ambiance and dramatic effect, welcoming you. Low-voltage LED architectural lighting is inexpensive to operate and adds the perfect glow, creating great drama, enhancing safety, and adding security. The diverse selection of beautiful LED lighting can show off your home’s splendor at night by highlighting your beautiful landscaping, patios, pools, and outdoor living areas, as well as the architectural lines and features of your home or business itself. LEDs have an extremely long life, give off very low heat, are far less glaring, and are more pleasing to the eye. Plus, the benefit to your budget may even outweigh the beauty! They’re energy efficient and last up to 30,000 hours. Some even have a lifetime warranty. Dusk to Dawn has an annual maintenance program that ensures all your lighting is functioning at top performance, all of the time. With Dusk to Dawn, you’ll never worry about your outdoor lighting again! Many of the LED lighting styles available play off of your home’s or business’ peaks, lines, and features. 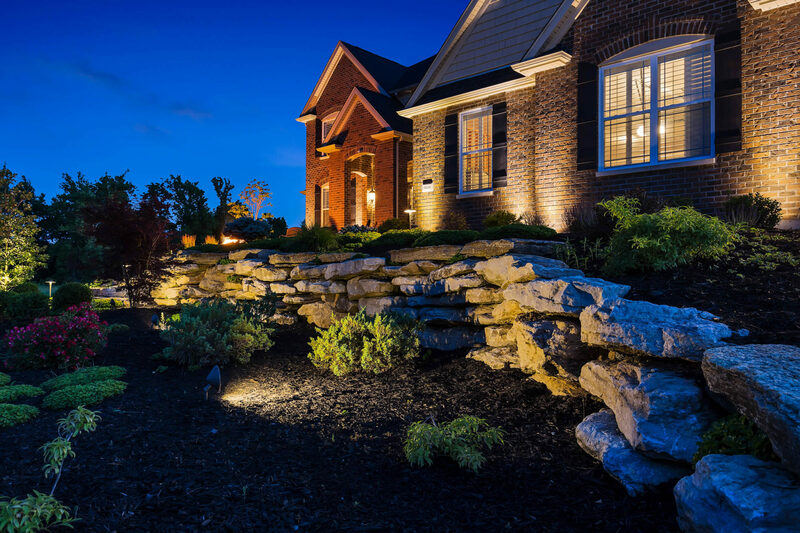 Architectural and landscape lighting go hand-in-hand for the utmost in grace and artistry; when done professionally, your home or business will have a completely new look and feel. Crosslighting – two or more lights pointed at and across a structure, lighting it in-the-round creates a focal point and highlights the structure. This can be on objects, statues, gazebos, and unique foliage around your property. Crosslighting draws attention while providing a strong light source. Grazing – used to emphasize or enhance the details of a textured surface. Lights are placed parallel to a structure, wall, tree trunk, or climbing vine, drawing the eye to the surface and creating contrast. This is also a good solution to hide imperfections and make an area seem larger. Shadow Lighting – also called “up lighting,” this entails lighting a tree or parts of your home or business from the bottom up, projecting shadows on the surface behind and creating an intriguing portrait of lighting on various surfaces. It maximizes and changes the scenery for more interesting viewing and a dramatic effect. Silhouette Lighting – also called back lighting, uses shapes and objects to create drama and texture around your home, business, or property. This technique, combined with grazing, means a wall or surface is lit through the plants and foliage. Like an airbrushed painting, the plants and the structure are softened by each other and partially cast in shadow, bathing that portion of your home or business in serenity. Uplighting – also known as “washing,” illuminates an object or tree from a distance below and in front (rather than at the base). This makes the object appear to be glowing and highlights its intricacies. These lights can be tilted horizontally or vertically as the season or structure changes. Great for adding areas of strong lighting. Dusk to Dawn Outdoor Lighting strives to continually exceed your expectations. We believe customer satisfaction is extremely important, that’s why we warranty all of our outdoor and architectural lighting installations. We also honor the manufacturers’ warranties on fixtures and LEDs, which vary in length, but typically start at 5 years and go as high as lifetime warranties. Not only do we offer and honor all warranties, we offer an Annual Maintenance Program so you never have to worry about your outdoor lighting again. Dusk to Dawn is at your service. We want to light up your home and property and give you that sense of, “Ahhh, we’re home!” when you drive up at night. 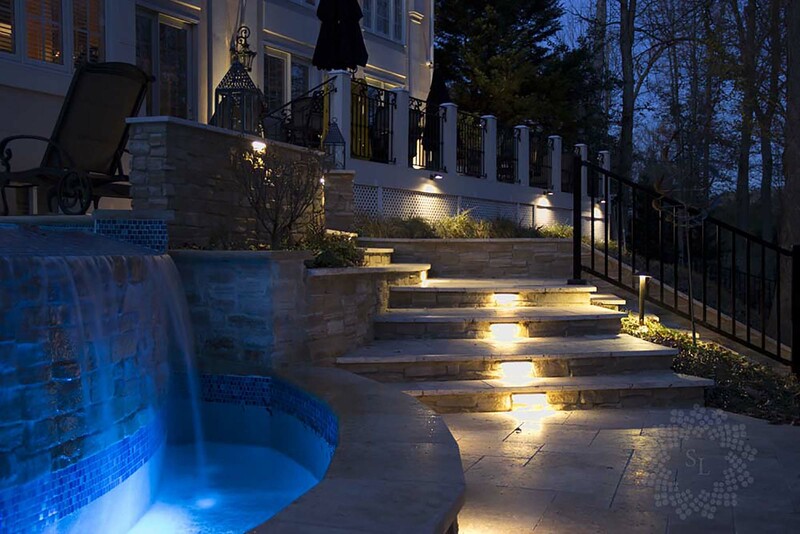 You can’t imagine the benefits of professionally installed outdoor lighting until you experience it for yourself. Check out our Gallery to see just how amazing the right lighting can be.